I have to share with you what I experienced last night. I began attending a new church in November 2014. I knew the moment I walked in the building I was home. There was a familiarity about it that just caused me to take a deep breath, exhale & smile. Since that first day, there hasn’t been a time that I’ve left unaffected. You have to understand….I’ve served in the local church faithfully since 1984. Now that I’ve totally dated myself, you can gather I’ve seen quite a few trends come & go. Real. That is what I’m gravitating toward now more than ever. Real people; real faith; real purpose; real motives; real love; real acceptance; real challenges to help me grow spiritually; real life; real humility; real servant leadership; real Jesus. Real. Now that I’ve typed that word so many times it looks like it’s spelled wrong! Every week I find myself telling my daughter, “I’ve never heard that taught like that before!” or “OH MY GOSH!! I’m blown away finding out about yet another ministry they offer!” Seriously it’s like a new experience every week & yet at the same time, such a feeling of belonging. Hope that makes sense! Last night is no different. There are sooooooooooo many connect groups to become a part of that every excuse for not developing relationships within the church body is completely annihilated! There is a group for women, named Journey. Within that group are options for different nights of the week or lunchtime meetings, prayer groups, & etc. Any of these choices promises to fulfill whatever you are searching for. They planned a combined meeting for all the groups to come together & it was awesome. Lady #1- Founded Disciples 4 Christ Prison Outreach Ministry. She was incarcerated for 5 years & now the DOJ contacts her to hosts meetings & conferences across the state. She decided to offer hope to those who are walking in her shoes. 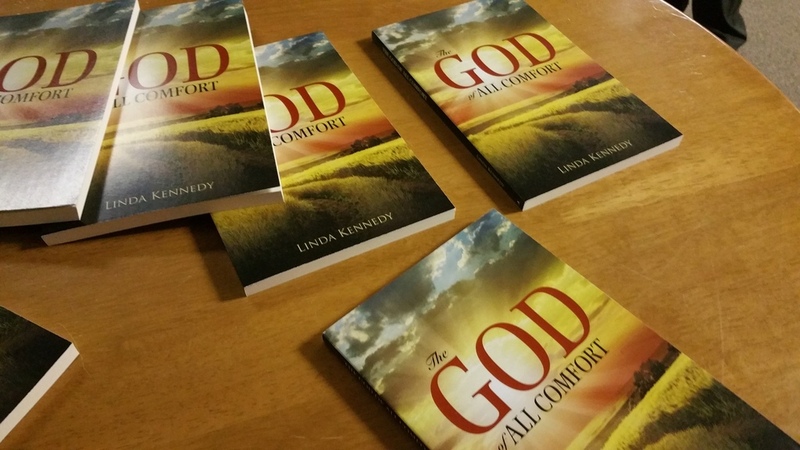 Lady #2- Published the book, God of all Comfort, describing the loss of two of her children within a few months apart. They already had a special needs child & this new grief experience was certainly overwhelming. Instead of this journey destroying her life, it changed it. Lady #3 -For the past 15 years, along with her husband, has developed a ministry of devoting time & attention to pastors children. If you don’t think these relationships are vital & beyond priceless, talk to a PK. 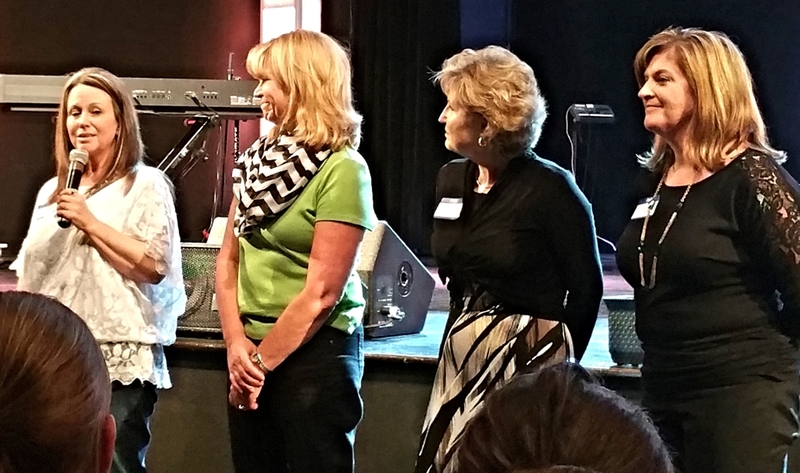 Lady #4 – Corporate Executive who wanted to bridge the gap between the churched & unchurched. Created a YouTube presence called Real Issues. Real Jesus. 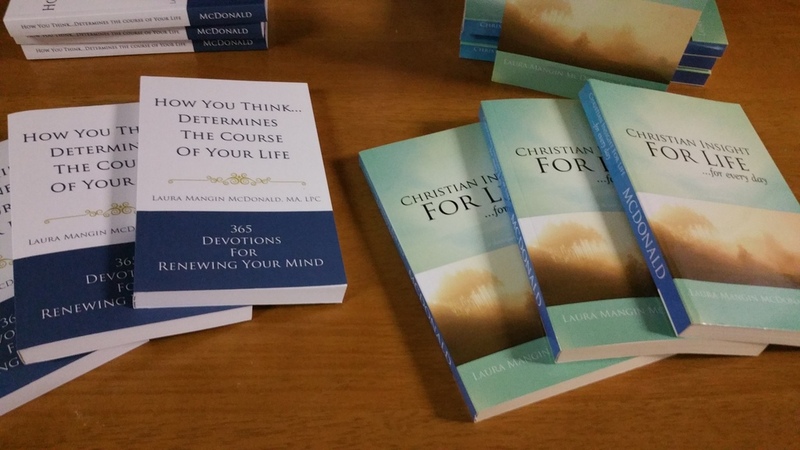 She addresses common questions in normal, everyday terms while exposing the listener to the Bible. Lady #5 – became a blogger, published 3 devotional books that is available in 35 countries & translated in several languages. She wasn’t actually present to talk, but her books were. These ladies were just the opening part of the meeting! As you may or may not know, I want to write two books. I felt so beyond empowered being surrounded by these phenomenal women! Each of them were so humble & simply began pursuing their purpose while walking through their valleys & finding their passion. Their obedience, however small it may have felt in the beginning, is an enormous act of faith for many women to emulate. I could’ve left at that point & been full of courage & strength. Of course…there was more. The main speaker was a lady who grew up so intimidated she literally became beet red & broke out in hives while reciting her wedding vows. Her description of herself growing up was a fair complected, red haired, overweight, shy girl named Lucretia. Talk about having a complex! She felt like God had given her a story within this past year that she wanted to share with all the ladies. She is recently a widow & yet found strength to continue walking in what God is doing in her life. Amazing. Her message was straight from Revelation 2: 12-17. I’ll give you the short of it! God edified & then chastened people from the church in Pergamum for partaking in the practice of the Nicolaitans. God hated the deeds of Nicolaitans. Strong words, but He hated, nonetheless. In essence, the Nicolaitans straddled Christianity & paganism. This rendered the people powerless preventing them from fulfilling their identity. He mentioned giving those who overcome a white stone with a name written on it that only He & that person will see. In that particular dispensation of time stones were used in the judicial system. White stones signified acquittal while black stones sentenced condemnation & guilt. Throughout the Bible you can find God changing the names of people. Those names are what He sees in them or anticipates who they’ll become. Many times people don’t know who they are or their true identity because they’ve been called everything else. We also tend to wear badges that identify seasons in our lives. Single, widowed, divorced, rejected, depressed, bitter, angry, forlorn, etc. Such badges lead to entitlement mentality in how we expect people to treat us. We are holding black stones. God doesn’t see us in that sense. As a child of God, He sees us through His son, Jesus. Acquitted. Black stones & badges prevent us from fully embracing who He’s called us to be & prevents us from elevating God to the place He belongs. God wants to do an exchange of stones & show us our new name. Relationships can enable certain identities to mask who we really are. Even if we have left certain people or severed all relational ties, we are still “in bed” with those things that were spoken over us. We are an overcomer & God already calls us that. At the beginning of the message we were handed black stones . At the end, we were encouraged to take our black stones & exchange them for a white stone of which had names written on them. The names were not visible, so we didn’t know what we were picking up. I can’t speak for anyone else, but the name I received was exactly what I needed to see. My daughter already had a name in her head & that was the exact name she picked up. Not only did the name mean something special, but it was a major confirmation that God is ever present in her life. From a mother’s perspective, it’s a huge blessing to see your child being well so taken care of & honored. Here’s my name. Chosen. Of course you could say that’s nothing special! The Bible calls Christians a chosen generation or states how we haven’t chosen Him, but He’s chosen us, so….big deal. Well….I beg to differ. Lemme splain…..Being single now for 21 years & currently believing God for my husband to suddenly appear lets you get a glimpse of the rejection I combat feeling. Seeing friend after friend get married & microscopically picking myself apart as to what could really be wrong with me. I’m too picky with unrealistic expectations. I’m healthy, but not skinny. I’m middle aged. I’m not pretty enough. I’m whatever! Or…..what about applying for a new job only to get a rejection email the same exact day of this meeting. Of course…I’ve spread my net far, but….still. For more years than I dare admit I’ve quoted, “I am accepted in the Beloved.” Anytime anything attempts to separate my belief in how much I’m loved by the perfect Father, Husband, Friend I have in Jesus, I quickly remind myself of this. 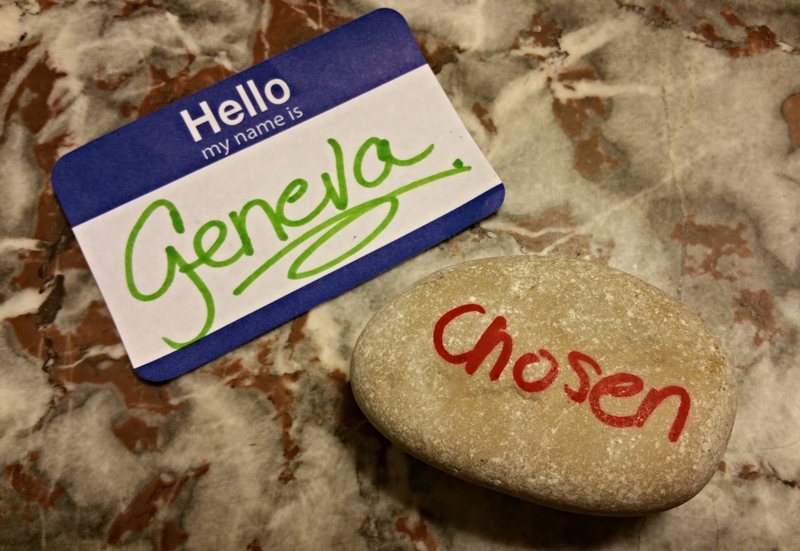 Getting the new name of “Chosen” takes that to a whole nutha level & was applicable in more areas than I dare to explain. Besides…..even if all those badges were non-existent, I still love the fact that out of all the people in the universe, God chose me. After all….I am His favorite daughter! Whew……I mentioned loving my church for being real & I just word vomited my negative self talk. Trust me…..I have a mantra I repeat as often as necessary to combat any / all of those words. I refuse to become identified with them. I encourage you to lose the black stones of guilt, condemnation, unworthiness, hopelessness, abandonment, rejection, low self esteem & confidence, deception, or whatever haunts your thoughts & see yourself acquitted. See yourself loved, forgiven, chosen, accepted, capable, beautiful, wonderful, gifted, talented, & etc. This blog was lengthy, but I’ve learned it’s times when I don’t share my “eureka” moments that someone could really use one of their own. Have an awesome weekend. Come to church with me wherever you are! We’re also available on Vimeo!